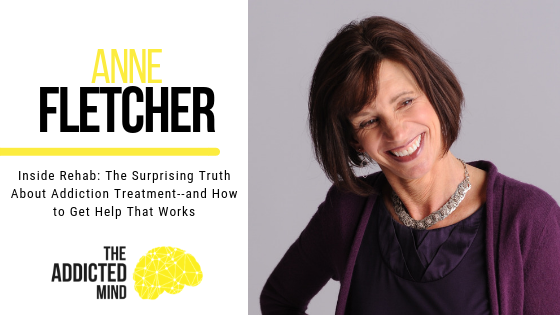 On this episode of The Addicted Mind podcast, our guest is Anne Fletcher, author of 8 books including “Sober for Good” and “Inside Rehab.” Anne felt the need to write “Inside Rehab” after consulting with several experts, one of which posited that people usually spend more time picking out their next vacuum cleaner than they would finding the right addiction treatment facility. Driven by the notions that treatment should help people avoid hitting rock bottom and that their treatment should emphasize the benefits of sobriety over the pitfalls of addiction, she spent 4 years studying 15 different treatment centers across the country to see what was working and what wasn’t working for their patients. She was somewhat shocked to discover that most inpatient and outpatient treatment facilities heavily employ group-based treatment, 12-step methods such as AA, and counselors without medical or psychological expertise in their limited one-on-one sessions. As she expected, she heard stories of programs that worked for some people and not others, helpful and hurtful methods, and discrepancies between quality and cost. In fact, one of the facilities she studied had an on-site barber shop, cafeteria, radio station, and college level educational courses to help equip their patients with transferable skills that they could use to get a job after their treatment was concluded. Overall, Anne sees a lot of hope and opportunity in the future of addiction treatment facilities if they treat each patient as an individual and personalize their treatment to their background and situation, keeping in mind that therapeutic alliance between the patient and therapist is crucial to the patient’s recovery and success. She hopes to continue to see alternative methods to AA popping up across the country, because AA’s process does not work for everyone, but a vast majority of treatment programs rely on it to help their patients. She is a firm believer that treatment centers will change certain things that may not be working if consumers express their concerns and desires. Anne’s advice to those who may need addiction treatment is to start by receiving an assessment from an individual therapist who is not associated with a treatment center. They will be able to give you their professional opinion about what kind of treatment you might need and can point you in the right direction. Also, keep in mind that inpatient treatment is not always the most effective unless the patient is in danger of self-harm or needs a period of detox. Be persistent in finding the right treatment for you; you are not alone, and you do not have to continue to live with this substance use disorder. Above is an affiliate link, this means that if you purchase something, The Addicted Mind Podcast will earn a commission. This commission does not cost you anything. 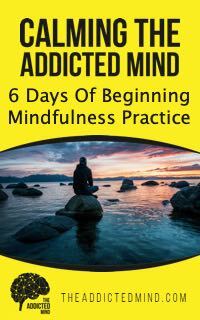 This commission helps offset the cost of running The Addicted Mind Podcast and enables me to continue to create meaningful and helpful content. Thank you for your continued support.